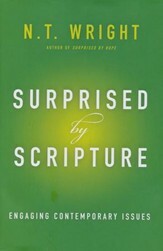 Bart Ehrman has written four bestsellers that raise serious questions about the veracity of the Bible and the tenets of historic Christianity. Now three formidable thinkers challenge this skepticism concerning the Bible's origins, how it was copied, alleged contradictions in Scripture, and the relationship between God and evil. All too often Christians, and even Christian leaders, dont know how to deal with skeptical challenges of the Bible and the Christian faith. Few churches address the historical questions about the Bible and the theological questions concerning the God who, believers claim, has inspired the Bible. 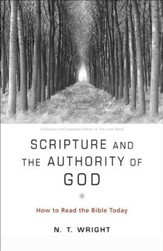 Too often Christian scholarship has been kept at arms length and even viewed with suspicion by the church. Speaking and writing in this kind of environment, Bart Ehrmanprofessor at UNC-Chapel Hill and author of four New York Times bestsellershas found a captive audience. Ehrmans popularity is due in large part to the fact that he is talking about things most people never learned about in church. Some have long given up on Christianity, and Ehrman is only reinforcing their decision to depart from their Christian upbringing. Others are trying to reconcile their faith with rational arguments and find Ehrmans books both interesting and disturbing if not appealing. Truth in a Culture of Doubt takes a closer look at the key arguments skeptical scholars such as Ehrman keep repeating in radio interviews, debates, and in his their popular writings. If you are looking for insightful responses to critical arguments from a biblical perspective, easily accessible and thoughtfully presented, this book is for you. 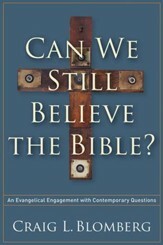 This is the first book to provide a comprehensive response to Ehrmans popular works. It is presented in such a way that readers can either read straight through the book or use it as a reference when particular questions arise. 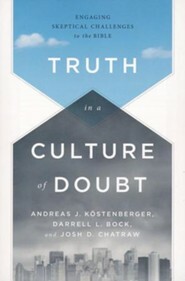 Responding to skeptical scholars such as Ehrman, Truth in a Culture of Doubt takes readers on a journey to explain topics such as the Bibles origins, the copying of the Bible, alleged contradictions in Scripture, and the relationship between God and evil. 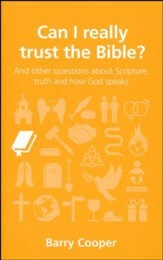 Written for all serious students of Scripture, this book will enable you to know how to respond to a wide variety of critical arguments raised against the reliability of Scripture and the truthfulness of Christianity. Andreas K&ouml;stenberger (Ph.D., Trinity Evangelical Divinity School) is senior research professor of New Testament and Biblical Theology at Southeastern Baptist Theological Seminary. Darrell Bock (Ph.D., University of Aberdeen) is executive director of Cultural Engagement and senior research professor of New Testament Studies at Dallas Theological Seminary. Josh Chatraw (Ph.D., Southeastern Baptist Theological Seminary) is director of the Center for Apologetics and Cultural Engagement and associate professor of Theology and Apologetics at Liberty University. I'm the author/artist and I want to review Truth in a Culture of Doubt: Engaging Skeptical Challenges to the Bible.